The ornately named Bay of Stiff, just off Finistère, where the Atlantic greets the Channel, is where the Champagne House ofLeclerc Briant decided to submerge an unspecified number of bottles. The idea is to demonstrate the inherent qualitative benefits of ageing wine underwater, deferring along the way to science, myth and, let us not forget, appreciable commercial potential. If one can keep that sinking feeling at bay, there is a story to be told here. Its early chapters illustrate the relatively recent discoveries of sunken treasures, most notably 170-year-old Veuve Clicquot in the Baltic and, in 1907, bottles of Heidsieck, part of a consignment destined for Tsar Nicolas II, sunk just off Finland by a German submarine. Salvaged bottles from both collections have fetched unbecoming sums at auction ($30,000 in one instance). Most importantly, they are rumoured to taste far from disagreeable – briny, sweet and oxidised maybe, but perhaps this is how the nectar of the gods is supposed to taste; maybe this was how Poseidon preferred to take his fizz. Here we enter Atlantis; here myth and reality coincide, salty grist to the mill of Champagne’s marketing machine. Sparkling, magical realism. Michel Drappier from the Aube was the first magus convert; he took Champagne to the top of the Eiffel Tower, then up one of the higher Alpine mountains and finally, rather prosaically, on a 1,000-kilometre car journey, where the bottles clanked along, morose, in the boot. I was recently invited to taste Taittinger Comtes de Champagne in a hot air balloon, in order to ascertain the influence of altitude on gustatory sensation. I didn’t discern much difference, but the wine was indeed sensational. But let us return to M Drappier, who concluded that a decrease in air pressure, as at altitude, causes the carbon dioxide within the bottle to disperse more rapidly. He inferred that the optimum conditions were where the pressure inside and out of the bottle were the same, somewhere around 6 bars, and that this could only be achieved under water, where the ambient temperature should be constant (as in the chalky cellars of Reims) and the environment should eschew light. Pressure is, apparently, directly linked to the volume of salt in the sea, and experiments, somewhat fortuitously led both Messrs Drappier – and subsequently, Leclerc Briant – to the northwest coast of France. 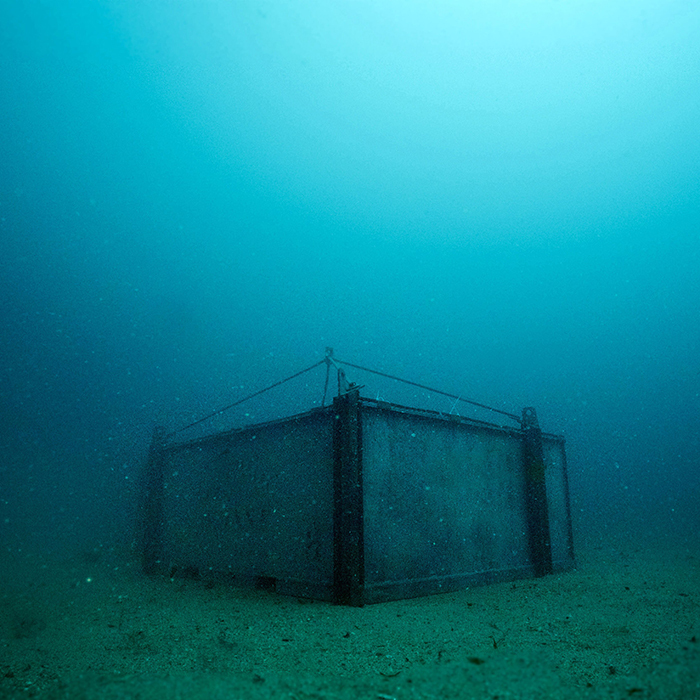 Here we find our 20,000 bottles under the sea; here is where the corsair should comb the waters for the fool’s gold. Leclerc Briant is the latest producer to try out this worthy experiment. The producer does not lack pedigree, and, as one of the very first properties to subscribe to organic and then biodynamic viticulture, its portfolio has always been close to nature. Winemaker Hervé Jestin is adamant that the subaqueous maturation is beneficial precisely because the gentle undulating movements of the sea, the dynamising energy of perpetual motion, provides a logical extension of the biodynamic philosophy, which cleaves to lunar cycles and tidal patterns. The wine in question, christened Abyss, is child of the 2013 vintage, bottled in July 2014, disgorged in March 2017 and submerged for a year in June of that year. Unlike Widow Clicquot’s 170-year-old brew, there was no sugar added to Abyss, its blend shared equally by Pinot Noir, Pinot Meunier and Chardonnay, the grapes selected from sites with specifically chalky calcareous soils to mirror and complement the Atlantic environment. A good deal of effort, investment and imagination have been expended here, clearly, but is the wine any good? In general, the consensus seems unclear for wines brought up thus. Some advocate that the freshness of the wines is enhanced; others maintain that the maturity is accelerated, often in positive terms, with complexity and richness evidenced more quickly. Positives both, but somewhat contradictory and reflecting, for sure, a lack of conclusive empirical evidence. The medium is the message, perhaps. In the case of the Abyss, one certainly discerns harmony and balance rare in a still young 2013, allied with obligatory descriptors of oyster shells, salinity and so forth. In short, I was impressed and judged the wine a worthy addition to the canon of this illustrious House, presented elegantly, barnacles and all, with of course a far from modest price tag. It is childish to extract a philosophy of “aqueoir” to mirror that of terroir, but unwise to overlook this phenomenon altogether. Over time the secrets of the deep will reveal themselves more, and this revelation will not want for interest. 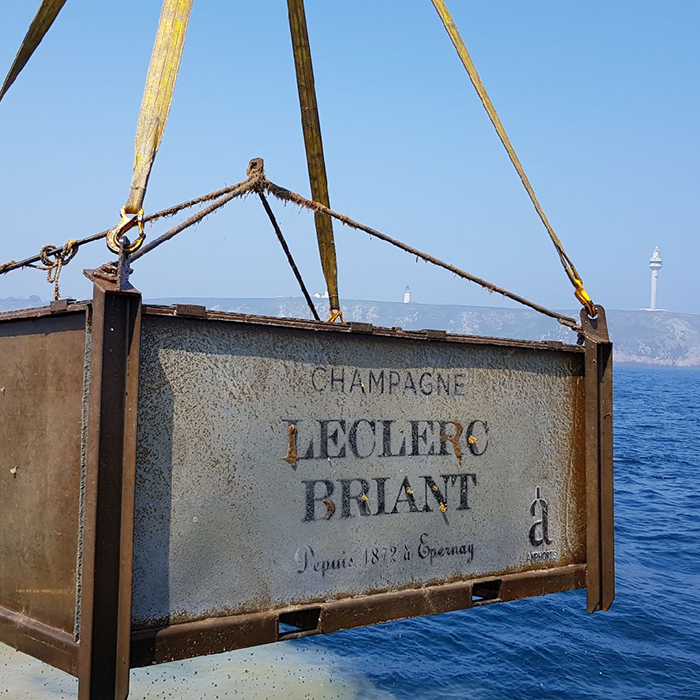 2013 Champagne Leclerc Briant, Abyss, Brut Zéro: Aged for 15 months in the depths of the ocean, Abyss is a blend of 34% Pinot Noir, 33% Pinot Meunier and 33% Chardonnay, with zero dosage. Pinky gold in hue, the wine has a deep, rich nose – with the slightest hint of oxidation. The palate is similarly rich. Full-bodied and dry, it’s quite tertiary and saline, but totally compelling with a long, fine finish. Intriguing. Explore the range of Lerclerc Briant, or shop all Champagne on bbr.com.